Mary Roe is a registered nurse with more than 21 years' experience as a food intolerance specialist, which combined with her 10 years' experience as a hospital nurse, has established her as the 'go to person' for practical solutions for chronic food intolerance symptoms. She has built up a professional reputation from her hands-on, direct client experience, as well as through evidence gained from many years of conducting client surveys and analysis of client data. 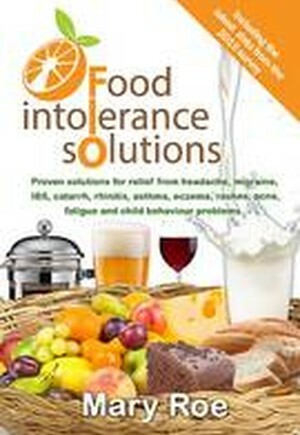 She is dedicated to helping people recover from chronic food intolerance symptoms, which adversely affect their quality of life.This book will help you with chronic food intolerance symptoms, when you wish to find the underlying causes, or when symptoms are not responding to traditional medical treatment. It provides all the information you need to know to understand your food intolerance problems, triggers and how to solve them. Mary Roe shares her many years of experience, and her survey data to help people overcome their symptoms and improve their quality of life.This book offers the reader an understanding of how food intolerance works and what the triggers and causes can be; a detailed analysis of the most common symptoms, with case studies demonstrating how to solve them; client testimonials, clear and easy to read real life case studies, client survey data and analysis of results tables, demonstrating the theories presented; an explanation of how the author can help clients solve their chronic symptoms; practical help in the form of recommended diets for different age and gender; a fresh approach to explaining the myths about food intolerance from the past; an up to date overview of how food intolerance is changing as people's diets change; and a detailed Appendix demonstrating lists of food and drink people are most likely to be intolerant of, and recommendations of how to avoid these. This inspiring, self-help medical book demonstrates that you can solve food intolerance symptoms by being professionally tested, undertaking a recommended exclusion diet and reintroducing foods at an appropriate time.